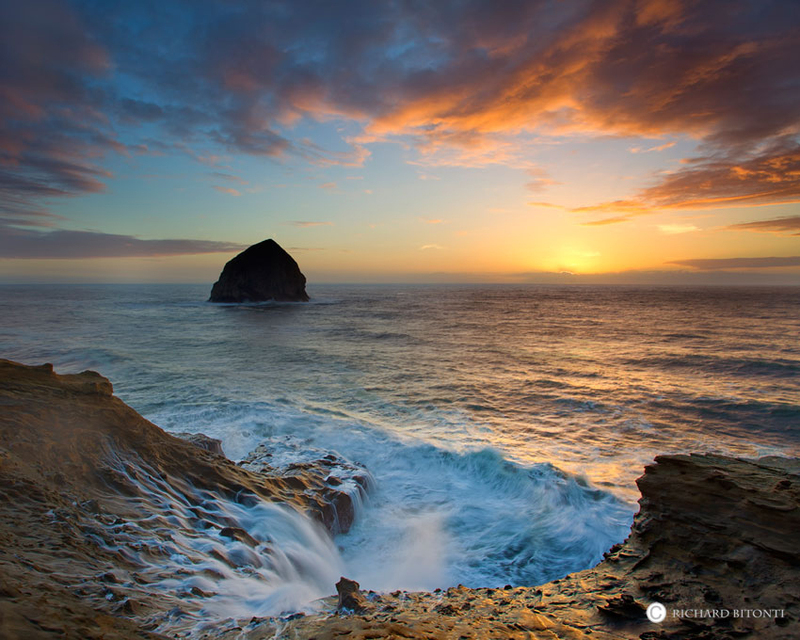 The sun dips below the horizon on the cliffs at Cape Kiwanda. This point is well known for dramatic crashing waves and epic sunsets. Photo © copyright by Richard Bitonti.